CANAAN VALLEY, W.Va. — Registration for the West Virginia Press Association’s 2017 Convention, Aug. 3-5 is open. 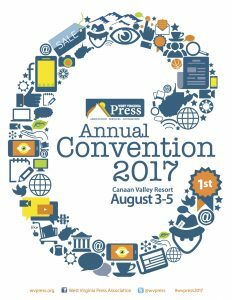 “West Virginia: Adapting to Marketplace Changes” is the theme of the West Virginia Press Association’s 2017 Convention, Aug. 3-5. The WVPA invites its 70 member newspapers and guests to Canaan Valley Resort for three days of education, recognition and training. Visit wvpress.org to see and download the full convention packet. You can register here online – with a service fee – or download the packet and follow the instructions to mail or fax your registration to the WVPA. I hope you will join us at the WVPA’s Convention 2017, Aug. 3-5 at Canaan Valley Resort in Tucker County. Our theme this year — West Virginia: Adapting to Marketplace Changes — focuses on the versatility our industry needs to ensure success in today’s fast-changing and unpredictable environment. Convention 2017 brings together media leaders, industry experts and other stakeholders to examine issues from all points. Whether you work at a news, advertising, H-R or publisher’s desk, the issues up for discussion this year will be of interest. Be it the “A ordable Care Act” or “American Health Care Act”, what does the changing health care landscape mean for the people of West Virginia and news coverage, advertising, and newspaper industry employees and operations? Friday morning, a panel of experts looks at the possibilities. We need to be informed. Public notice is the traditional source of journalism and a keystone of the newspaper industry. Digital advertising is one of the fastest growing aspects our marketplace. Friday afternoon we look at both areas and the newspaper industry’s responsibilities and opportunities. “WVPA Ownership Initiative.” As a generation of publishers look at handing over leadership of their operations, the WVPA looks at how newspapers are valued today, market conditions and prospective new owners. 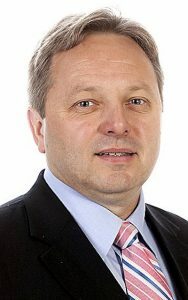 Expect invaluable information from a panel including a newspaper broker, a banker, and tax and other industry-related experts. Gazette-Mail winning the Pulitzer Prize for investigative journalism. We’ll also recognize all of the other outstanding newspaper industry work in West Virginia this year with our Editorial and Advertising awards presentation. Canaan’s family-friendly facility and location provide an outstanding opportunity for everyone to join together with spouses and children and celebrate our industry and future. Friday’s cook-out at the pool shelter with great food, live music and games will make it a Convention to remember. This year’s schedule includes many special guests, educational and fun activities and still allows time for socializing and networking. access and set the tone for change and adaptability. Remember to reserve your rooms for the convention today at Canaan Valley Re- sort. Request the West Virginia Press Association room rate. Hope to see you in Canaan Valley Aug. 3-5.